Mississauga, Ont. (April 13, 2016)– In 30 days, Canada’s most affordable racing series, the Nissan Micra Cup, will enter its second season starting with its first-ever race in Ontario at Calabogie Motorsports Park. At the wheel of the fun-to-drive and agile Nissan Micras will be 30 drivers who will compete in 16 races through eight weekends. The 2016 Nissan Micra Cup race calendar consists of three race weekends in Ontario, and five race weekends in the series’ native province of Quebec. Last year, the Nissan International GT Academy program left its mark in Canada as two GT Academy drivers – respectively hailing from India and Thailand – competed in the Micra Cup with one or both drivers achieving podium finishes almost every single race. 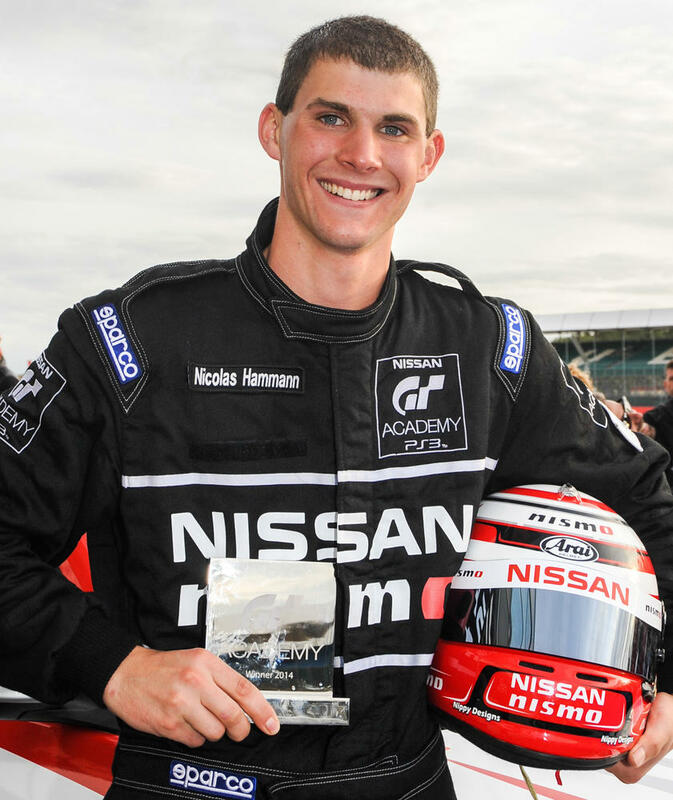 The Nissan GT Academy team has tapped Nic Hammann, 2014 Nissan GT Academy U.S. winner, to compete in the Micra Cup’s second season. After winning the 2014 Nissan GT Academy North American competition, 22-year-old Hammann competed last year in Moscow, Russia in the Blancpain Sprint Series in the GT-R GT3, and in the IMSA Continental Tire SportsCar Challenge in the Doran Racing Nissan 370Z. Nic also competed and aided the development of the Pirelli World Challenge 370Z Touring Car and GTS car with CA Sport team based in Salt Lake City, Utah. The opportunity to participate in the Nissan Micra Cup is an exceptional challenge for Hammann who has never raced in Canada or competed in a full season. Hammann is also part of a minority group in the Micra Cup competition, as one of the few who didn’t compete in 2015. After the success of the first season, most of the drivers from the first season will be back on the grid. One of the returning competitors is Olivier Bédard, the young Québec driver and the 2015 Nissan Micra Cup champion, who will attempt to defend his title this year with the Albi Nissan Team. Stefan Rzadzinski (Pneus Touchette) from Alberta who earned a pair of victories last year, is also back on the grid; along with female drivers Valérie Limoges (H. Grégoire); Valérie Chiasson (Nissan Gabriel Group); and Ashley Sahakian (United Auto Racing). The expansion to Ontario has attracted a group of new drivers as well. Among them is Brian Makse, the race driver/journalist who will drive a Micra sponsored by Guelph-Waterloo Nissan dealers; and the Toronto Alta Nissan team. Alta Nissan will compete with two cars driven by Martin Gray and Alta Principal Owner, Eddy Wong. The Nissan Micra Cup, with its affordable cars and its action-packed races, inherently attracts a large number of participants new to motorsport, some of whom are very young. To further support young talent, Team Albi Nissan will sponsor three young Québec karting drivers between the ages of 16-18 during the race weekends at Mont-Tremblant Circuit. The three teenagers are also engaged simultaneously in karting competitions in Eastern Canada. The 2016 Nissan Micra Cup season will kick off May 13-15 at the longest track in Canada - Calabogie Motorsports Park, located south west of Ottawa. Friday will be an official test day for all drivers before the first race of the season which is scheduled for the next day. The second race will take place on Sunday. Circuit Mont-Tremblant will host the series two weeks later during its traditional Spring Classic event, prior to the return of the series to the St-Eustache Autodrome for the only event presented in one day - Sunday, June 19. The Canadian Tire Motorsport Park (formerly known as Mosport) in Bowmanville, located one hour east of Toronto, will present the fourth event, July 8-10. This event will provide a chance for the series’ drivers to race before the prestigious North-American Endurance Series (IMSA SportsCar Championship). Following a return to Québec and to the Circuit Mont-Tremblant on July 23 and 24 during the Summer Classic, the ever-popular Trois-Rivières Grand Prix will host the sixth race weekend of the year on August 12-14. September will begin with participation in the NASCAR weekend at the Canadian Tire Motorsport Park during the Labour Day weekend. Finally, the Nissan Micra Cup will finish its 2016 season at the Fall Classic at the Circuit Mont-Tremblant, September 23-25. Further information and the complete list of drivers who will participate in what will be an exceptional season of the Nissan Micra Cup will be provided soon. In the meantime, please visit www.nissan.ca/micracup.